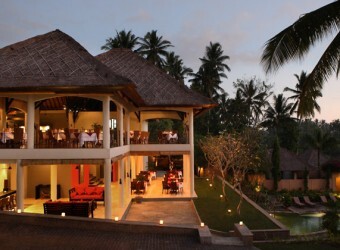 Bali Hotel Furama Villas is the villa which Furama Group opened in 2006. Located in a quiet place surrounded by beautiful rice terraces of Ubud countryside. 24 villas located on two hectares of spacious grounds, the appearance while incorporating traditional Balinese architecture, while modern amenities and sophisticated design.